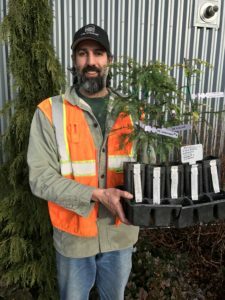 Five coast redwood saplings were delivered to Bothell on January 10, 2017. Aaron Milner, Bothell Parks arborist, takes delivery of five redwood saplings for the City of Bothell Parks and Recreation on Jan 10, 2017. 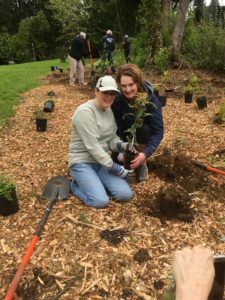 Bothell plans to plant them on Arbor Day, April 29, 2017. 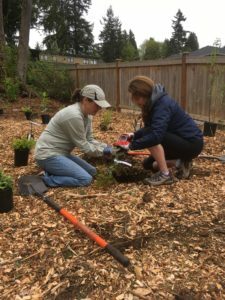 Sue Sivyer and Elisa Behrens are getting ready to plant the Fieldbrook redwood sapling, a clone of the Fieldbrook tree (see next photo), in Pioneer Cemetery in Bothell on April 29, 2017. 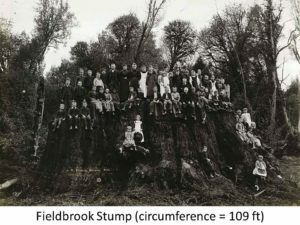 The Fieldbrook tree was cut down in 1890, but if it were alive today, it would likely be over 400 feet tall and over 3500 years old. It would be the largest tree by height and volume on the planet. 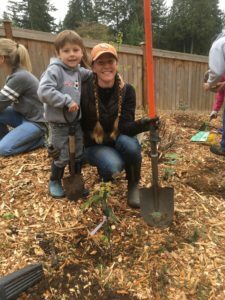 Andy and Lyla with a newly-planted redwood sapling in the ground that is now ready to grow into a giant. Sue Sivyer and Elisa Behrens now ready to plant a redwood sapling clone of the Barrett stump (see next photo). 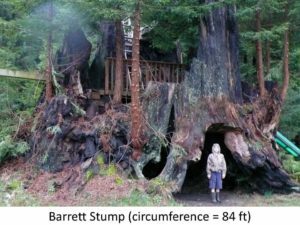 The Barrett stump in California. 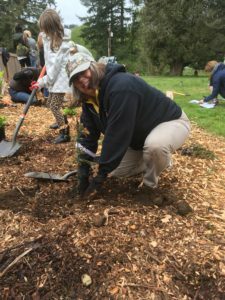 Mary Zacharias is putting the finishing touches on planting a redwood sapling in Bothell’s Pioneer Cemetery on April 29, 2017. 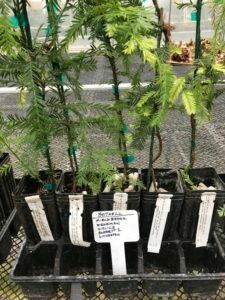 Five coast redwood saplings ready for delivery to Bothell in January 2017.